Optical Surfaces reports on how high power laser research groups around the world are commissioning ultra-smooth off-axis paraboloic mirrors to be used as the primary focusing element for their Petawatt laser beam lines. Using proprietary production techniques, and benefiting from a highly stable manufacturing environment, the company's experienced and skilled engineering team are able to produce fast-focusing off-axis parabolic mirrors with excellent surface accuracy, surface quality and surface slope errors. 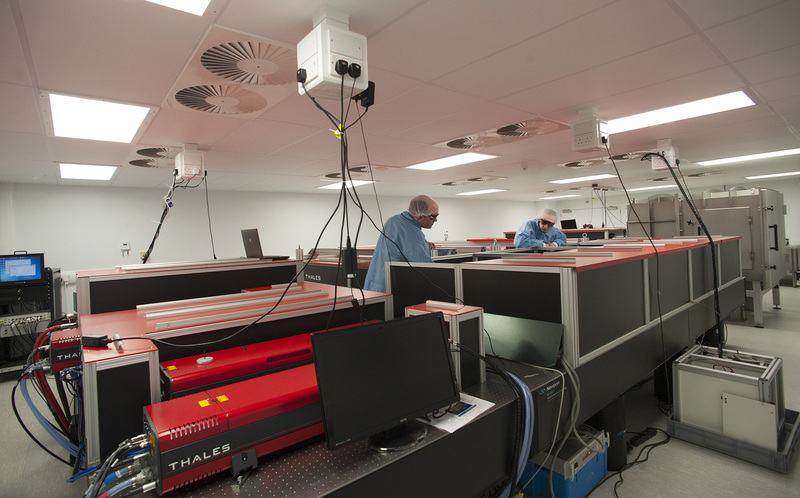 Dr Aris Kouris of Optical Surfaces comments: "Few companies in the world are able to produce off-axis paraboloids of sufficient quality to enable Petawatt lasers to focus their massive energy down onto targets only a few microns in size. Laser-plasma interactions under these conditions can produce energetic beams of electrons and protons as well as bright, coherent sources of X-rays enabling researchers to address fundamental questions in astrophysics and plasma physics." He adds: "In recent years we are honoured to have been selected by world-leading, high-power laser research groups including AWE, ELI, LULI and CLF Rutherford as well as a growing number of academic centres of excellence to provide key off-axis focusing mirrors and other related optics."